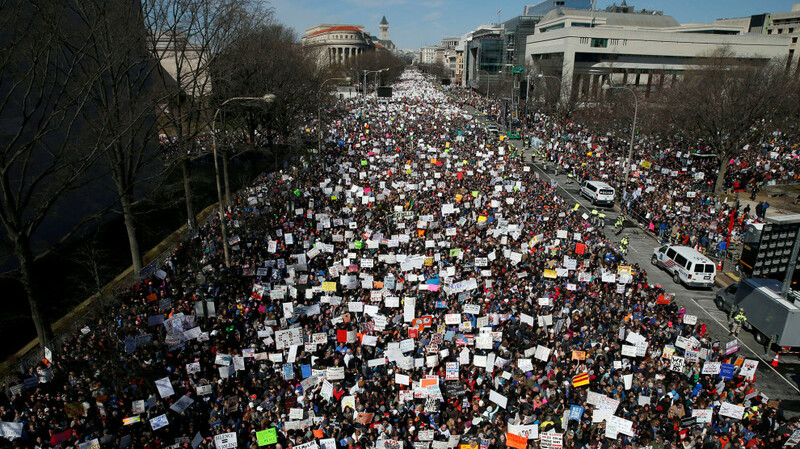 Over 800,000 people marched on Washington on March 24th to call for gun control reform. Photo Credit: TIME. Most recently, the teenage victims of the Parkland shooting, who are currently at the forefront of the push for gun control, have proposed policy initiatives that include improving “the channel of communication” between mental healthcare providers and law enforcement. They also propose a greater budget for mental health research in general. Both of these initiatives make clear that the Parkland students in the national spotlight believe mental illness to be a significant factor in the likelihood of an individual to commit a school shooting. 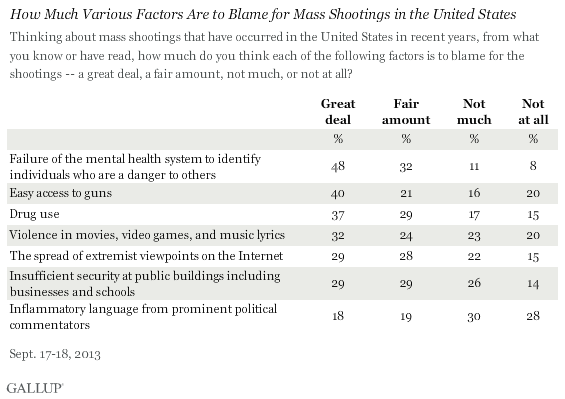 Furthermore, public opinion as a whole leans in favor of suggesting that mental health is a factor in mass shootings. With a poll conducted in September, 2013, days after a shooting at the Washington Navy Yard in Washington, D.C., Gallup found that 80% of survey respondents blamed gun violence on the mental health system for failing to identify individuals that are a danger to others. In the wake of this persistent public sentiment about mental health, psychiatric research is increasingly relevant. In order to avoid mistakenly identifying the wrong indicators of future violence, we must examine the continued effort of researchers to consolidate expert opinion on mental illness. Most mentally ill individuals who have access to a gun have acquired their gun before signs of mental health problems became evident. Thus, are they are not detected in the existing background check systems. Given the overwhelming indication across studies that there is an extremely low association between most mental health conditions and acts of violence toward others, the national conversation about gun control must be carefully scrutinized. We must not be too quick to blame those who are more often victims of violence than perpetrators of it. Instead, Americans for gun control must examine the cultural roots of violent behavior. After all, over the last decade, a total of 71% of all extremist-related fatalities have been linked to domestic right-wing extremists. Gun control activists must pay attention to the psychiatric research on violence or risk letting the true causes of these school shootings go undetected. Morgan is a freshman from Phoenix, Arizona double majoring in Sociology and International Affairs. Her love for research started in high school, where she tried on subjects ranging from evolutionary biology to astrophysics. She now intends to pursue independent research on the construction of International Affairs programs in U.S. higher education and the role that educational rhetoric plays in subsequent policy formation. Her other research interests fall under the umbrella subject of global capitalism, whether as a framework for social relations here in the United States or as both a means and end to diplomacy. Morgan spends her time on campus painting with watercolors, writing descriptive prose, and advocating for Palestinian human rights with Students for Justice in Palestine.